The thyroid gland can be a sneaky little bugger. It’s incredibly important to your overall health, but it’s often hard to recognize when your thyroid is under the weather and not working so well. Following are nine common, but often overlooked, symptoms of a sick thyroid. Following are seven simple, yet powerful, healing solutions to help get your thyroid back on track. Caffeine and added sugars mess with your thyroid. If you suspect you’re having thyroid issues try drastically reducing, or even eliminating, both and see if your symptoms approve. At the same time make sure you’re getting plenty of protein and good fats such as omega-3s found in wild caught fatty fish like salmon, which help support thyroid health and function. A vitamin D deficiency will interrupt your flow of thyroid hormones, making it harder for your thyroid to do its job. Anything lower than 32 ng/mL is a problem. To raise your D levels, and support your thyroid, spend more time outdoors without sunscreen–20 minutes a day with your face and arms exposed is often a good starting point–and consider taking a vitamin D supplement. Your thyroid needs plenty of this trace metal to be at its best. But a zinc deficiency not only can contribute to a sick thyroid, a sick thyroid can lead to a zinc deficiency. It’s a cycle you need to break out of for a happy, healthy thyroid. Good sources of this important nutrient include chickpeas, grassfed beef, oysters and pumpkin seeds. Experts say up to 20 percent of thyroid function is directly linked to having enough healthy gut bacteria to convert the thyroid hormone T4 into the active form of T3. Make sure you’re supporting the beneficial bacteria in your belly, and getting the probiotics your gut needs, to help keep your thyroid healthy! 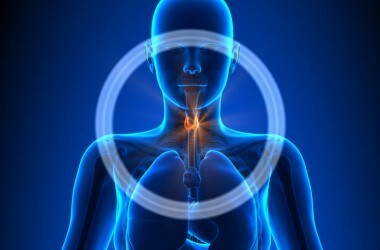 Your thyroid has an even closer connection to you adrenal glands than it does to your gut. In fact hypothyroidism and adrenal fatigue often go hand in hand. When stress kicks your adrenal glands into gear many other “non-critical” processes—including thyroid hormone production—are put on hold or slowed down until the stressor is cleared. Which is why chronic stress, or malfunctioning adrenals, can contribute to a sick thyroid. So make sure you’re giving your adrenal glands the love they need, too. Just like a good workout keeps your muscles in shape, it can help keep your thyroid in shape, too. Aerobic exercise has been shown to boost thyroid function, even increasing circulating levels of thyroxine, triiodothyronine and thyroid-stimulating hormone. Plus, sweating your way through an exercise session also helps release any built up toxins you’re carrying around that could be messing with your thyroid. 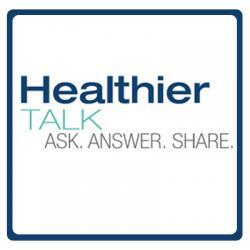 Nothing throws a healthy thyroid gland out of whack faster than stress (see #6 above). So take a deep breath and relax. Consider a sauna or steam bath. Not only will they help you relax, like a sweaty workout they can also encourage your body to release unhealthy toxins. Not into steam? That’s okay. Anything that eases your stress levels will help heal a sick thyroid.